4 Bedroom Detached House For Sale in Luton for Guide Price £340,000. 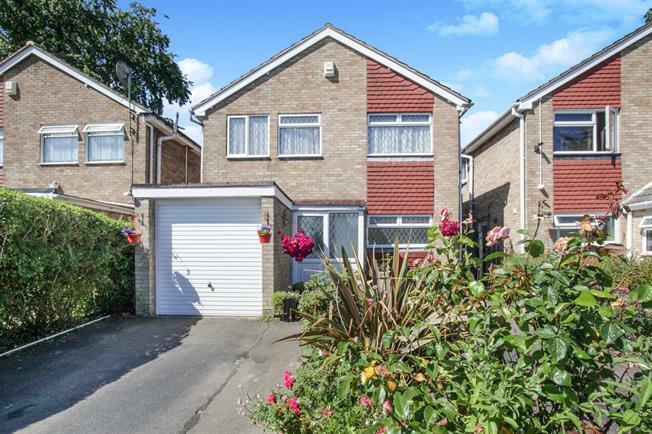 Taylors Estate Agents are delighted to offer for sale this rarely available four bedroom detached family home hidden away in the Saints area of Luton. The ground floor accommodation comprises entrance porch leading to the entrance hall, lounge, dining room, kitchen, WC and semi integral garage. The first floor offers four bedrooms and family bathroom. The property benefits from a large rear garden and conservatory providing enough space for all the family to enjoy. A viewing of this property is highly recommended..